Taking 1980's love & nostalgia to a whole new level! 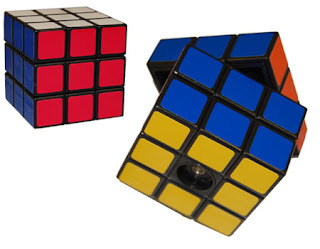 With that distinctive Rubik's plastic-y cube-moving sound, you can season your tasties & enjoy a nod to the Ferris decade. Labels: Shopping, Toys, Why Not?